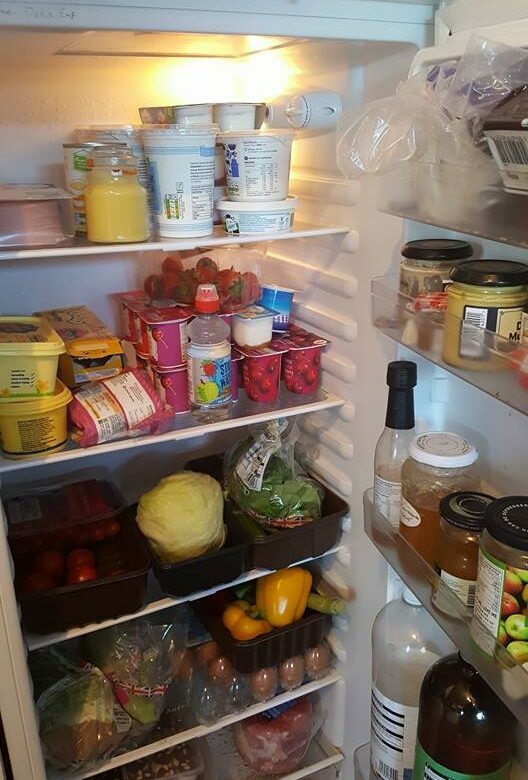 My fridge contents were very boring a couple of days ago. I ordered everything we needed for the menu for our weekly meals. Somehow we seemed to run out everything half way through the week! On the top shelf, that little jar contains Ant’s delicious homemade lemon curd leftover from his delicious roulade. At the bottom there, next to the gammon joint are my Slimming World marshmallow treats. I’m taking them to our early Christmas party taster on Wednesday after weigh in. They’re around 2 syns each which is great but it’s hard to stop at just one!